Dr. Gao received his Bachelor's Degree in Physics from University of Science and Technology of China in 2004 and his Doctorate Degree in Materials Science from Northwestern University in 2009. Since 2010, he worked at Lawrence Berkeley National Laboratory and University of California-Berkeley as a Postdoctoral Researcher. 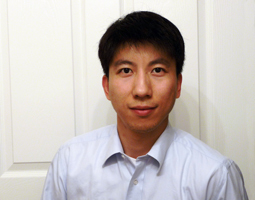 Dr. Gao joined the Physics Faculty of FSU in 2013. Dr. Gao's research encompasses physics and chemistry of solid-state nanomaterials with photonic and optoelectronic functions. His current projects investigate plasmonic and electronic properties of hybrid metal-semiconductor nanostructures for improved solid-state light emitting and solar energy harvesting applications.